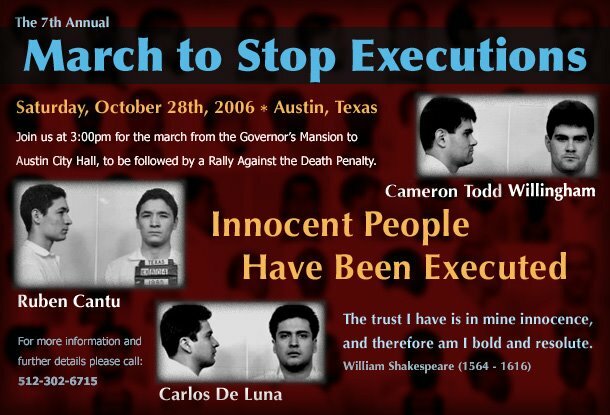 If your organization would like to be listed as a sponsor of the 7th Annual March to Stop Executions, just email us. National Black Law Students Association, American Civil Liberties Union, Gray Panthers, peaceCenter, San Antonio, Dominican Sisters of Houston, Friends of Justice, TX CURE. 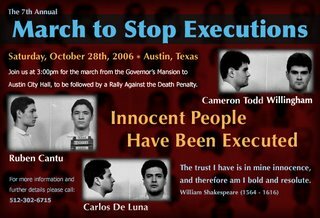 To get involved, email us at:admin@texasmoratorium.org Or call us at: 512-302-6715.